To view Hertsaver’s full financial statements document for the year ended 30th September 2018, click here. Hearing stories like this remind us of why we do what we do. Whether you just joined or have been with us from the beginning, thank you for being a member of HertSavers Credit Union. Here’s to another 70 years! Need a loan of up to £1,500? 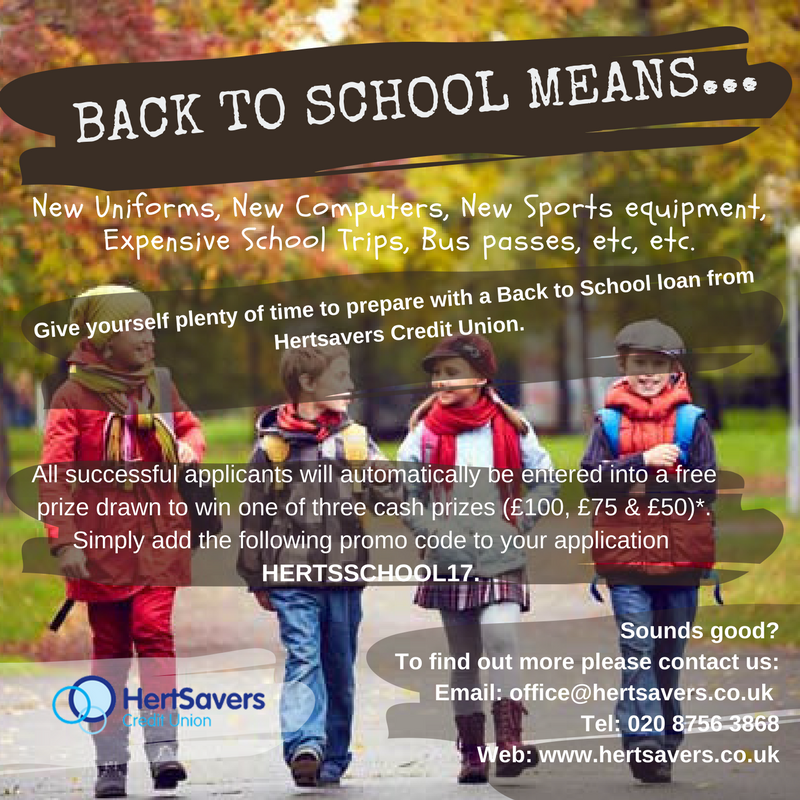 HertSavers will now accept loan applications from new members who have committed to saving with us. You can now borrow up to £1,500 as soon as your membership application has been accepted and the usual credit checks have been applied. Also, homeowner members can now take out loans of up to £15,000 for cars/extensions to your home etc. We will offer an interest rate that will be cheaper than you can get anywhere else! This could be as low as 0.25% per month (2.8%APR*) subject to credit checks. Want to apply for a credit union loan? Then we recommend visiting the members’ area on our website. We’ve made a few revisions to the loan application form so that the questions more or less match those on the printed form and will take no longer than 20 minutes to complete. If you make a mistake whilst filling in the form, there’s no need to re-enter all the information. The form will remember what you entered the first time after an initial prompt. You can also type your name in the signature box now – no need for an actual written one. Have a copy of the printed form handy so you can see what information you have to provide. If you need cash for a holiday, a new washing machine or even a car, don’t get tempted by those TV ads that promise easy money. You’ll always get a much lower interest rate from your credit union. The Adjourned AGM will take place on Wednesday 11th April at 5.30 pm at Welwyn Hatfield Council in the Chestnut Room, Welwyn Hatfield Borough Council, The Campus, Welwyn Garden City, AL8 6AE (park for free in the Cherry Tree Car Park). Chair welcomes the members present. Approval of the 2017 AGM minutes. Re-appointment of Appleby and Wood as auditor. *Terms and conditions apply. Lending is subject to status. This promotion is valid until 31st August (incl). Members must apply and be approved a loan of at least £500 to be eligible. Three winners will be selected randomly on 5th September and will be notified by email. The prizes of £100, £75 & £50 will be paid on the same day (5th September) into members’ bank accounts and will take 3-5 working days to clear.